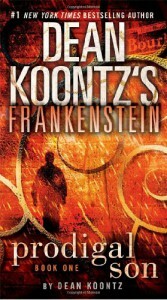 I think I'm done with "modern" Dean Koontz. His storytelling feels mechanical and uninspired, while character development is weak (not that it was ever intended to carry his books). This particular story lacked suspense or excitement, which left me wondering why I was reading it at all. It probably would be fine as a TV movie, as it would only occupy 85 minutes of one's life and ask no intellectual engagement of the viewer.